In NBA and ABA history, there have been nearly 600 50+ point games. Most of them were from legends like Wilt Chamberlain, Michael Jordan and Kobe Bryant. There were also ones from Willie Burton, Walt Wesley and Andre Miller. 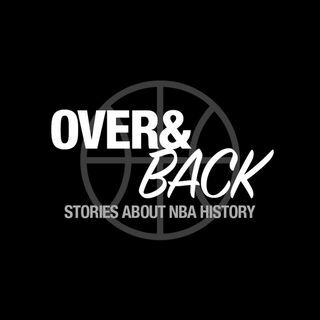 In this episode, we explore the most random, improbable and unlikely 50-point scorers in NBA history including Cleveland Cavaliers' forward Walt Wesley, our only ABA entry with Carolina Cougar Larry Miller going for 67, Mike Newlin breaking out for 52 with the New ... See More Jersey Nets, San Diego Clippers then-star Freeman Williams, the infamous Joe Barry Carroll, fellow Golden State Warrior Purvis Short... and hey another Warriors player, this time a breakout performance from Sleepy Floyd in the playoffs and Charles D. Smith. More modern examples include Nick Anderson's 50 points off the bench that was immediately overshadowed by Shaq breaking the backboard, Willie Burton's 50 points with only 19 field goal attempts, Dana Barros putting an exclamation point on his breakout season, Tracy Murray and Rod Strickland putting their beef aside, Tony Delk's still-to-this-day unbelievable 53 points against the Kings, Brandon Jenning's 55 points in only his 7th NBA game, The Professor Andre Miller shocking the world, Corey Brewer's sleeper 50-point game, Mo Williams, Lou Williams and more!